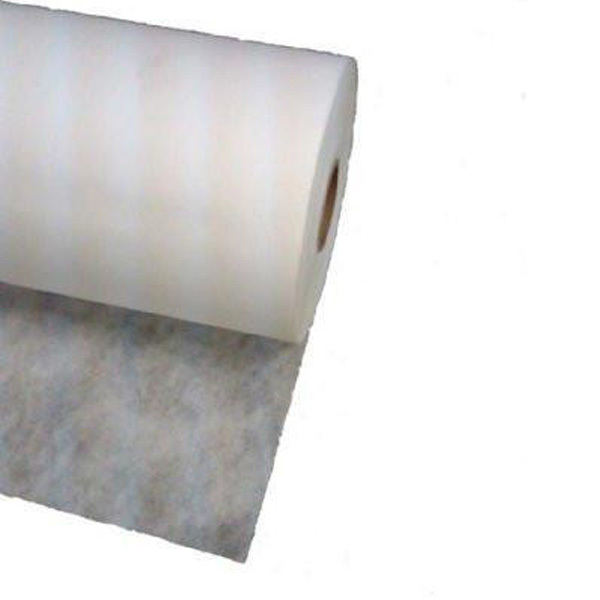 100% Polypropylene white nonwoven fabric. Spray fabric is ideal for spraying against in knee walls, ceilings, sound walls and many other applications. Keep your job site dust levels down to a minimum. Our best value, high-quality non-woven is made of 100% polypropylene, point bonded material. Insulation netting offers several advantages over insulation supports. Does not rust or retain moisture and once installed, it provides easy access to a structure for expansion or repair. Also as a backer to hold wet spray as well as the temporary face before installing sheetrock. Use the 1/4" where greater strength is required and for fireproofing spray applications. This wall roller is 27" wide and used to flatten blown insulation behind polyweb and insulweb, when the insulation is in between studs.